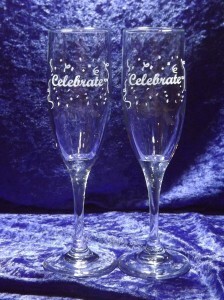 Celebrate that special occasion with these fine quality toasting glasses. They are perfect for Weddings, Anniversaries, Retirement Parties, New Year’s Celebrations or any time you want to have a Frozen Tropical Beverage on your back patio. 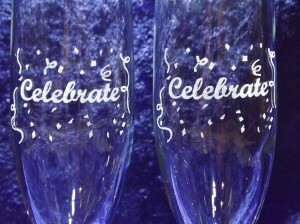 These glasses are laser engraved so the image will never wear off. 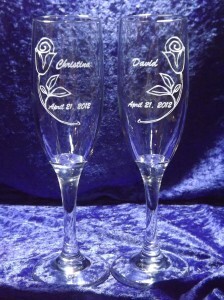 Each glass can be engraved with your own custom text or graphic, or we can create one for you.